shore-marketing has no other items for sale. 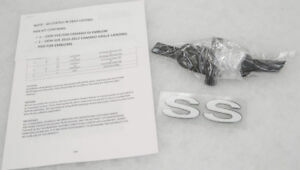 Details about SLP 2010-2013 Camaro SS Front Grille insert with Front SS Emblems NEW! SLP 2010-2013 Camaro SS Front Grille insert with Front SS Emblems NEW! Please see item terms for payment instructions.